 iAsk x China Daily | Errors in the online ride-hailing business? Finding it hard to get a Taxi from Shanghai Airport, Zhou Hang founded Yongche in May 2010. It is an online ride-hailing service that solves the fundamental pain of taxi-hailing and redefines urbanmobility. According to a VW Magotan driver, the minimum net income back then asa Yongche driver was 20.000 RMB. However, successors such as DiDi and Uber overtook Yongche through brutal competitions supported by capitals. After extended and heated fights with its investor Letv, Zhou Hang was forced to leave the online ride-hailing business which he initiated first in China. On April 2017, after leaving Yongche, Zhou Hang became a partner at Shunwei Capital. He used to envy investor’s relaxing lifestyle and wished to become one when he has no longer has his own company. Now his dream come true. In the past, Zhou Hang was the only participant in the race of online ride-hailing businesses. By the end of 2013, Yongche still had 80% of market share. The turning point was in 2014, when DiDi initiated the heated battle, followed by Uber. As the two were competing and gave huge subsidies to recruit new users, Zhou Hang believed “he could win fairand square.” He believed Yongche had a positive revenue stream and oncer ejected an investment exceeding 300 million Dollars. However, the power of capital defeated the idealism. In the end, Yongche belonged to someone else, and Zhou Hang left with disappointment. Zhou Hang: As an entrepreneur, an investor, or even a person, the biggest mistake we are prone to make is that we always want to defend ourselves. We spend lots of time trying to prove that we are right. Whether your opinion is right or wrong does not matter at all. At those moments, everyone has his or her own perspective, judgement, decision, and choices. When you look back, from a cost-benefit perspective, you could be right or wrong. But the key is to be able to admit your wrong-doing and then back off. I am reflecting on this not to blame myself, but to learn, tore-understand this thing. I am learning and growing for my future career no matter as an investor or an entrepreneur. Of course, when we talk about how to evaluate a specific founder or business, I might first focus on the original intentions to start the business. Why does the founder want to do this? It is not about listening to the pitch to know what problems to solve. I think many people, especially in China do not always have a good original intention. But it is okay, a good person can foster his positive originalintentions. Sometimes, it is not something concrete, but I can sensethe original intention, and something nice will blossom out of it. Second is about evaluating the founder’s true self and true personality. Let me give a personal example. There was an investor who wanted to invest for Series A, but he didn’t. After a longtime, I saw an interview, in which he talked about this experience. In that interview, he politely mentioned that: “This founder (me), and his personality does not fit his business.” I felt very uncomfortable hearing that. What does it mean? It means he does not believe me as a person. But then when I thought more about it, he was right about my personality. The online ride-hailing business is an operation-heavy business. After reaching an economic-of-scale, it needs someone who is belligerent and tough to run it. And it also has a lot of offline operations. Even if I knew about it back then and adapt my behavior, would it be good enough? To be honest, I also asked myself that question, and I do not think I can do well enough. Because my personality is not as belligerent, and I do not like to pick up fights. Some people are belligerent, but I am not. Therefore, my true self is not fitting well with this business. When I think of this, it also took a lot of weight off my shoulder. After leaving Yongche, Zhou Hang had a gap year. He no longer needs to work hard to prove himself. Self-renewal, rethinking and reestablishing are three main themes during that time. Meanwhile, he wants to maintain his sensitivity to new things through investing. However, after becoming an investor, ZhouHang found out, comparing with the entrepreneurs, the anxieties of an investorare not fewer, if not more. As an interdisciplinary investor who was previously an entrepreneur, Zhou Hang has his own theory and investment thesis. What is the value of interdisciplinarity? Zhou Hang: I just switched my role from an entrepreneur to an investor. I thought I knew a lot, understood entrepreneurs well and could quickly see their problems and understood the core issues. This was the mindset I started with. However, Mr. Lei reminded me I need tokeep an “empty cup mentality” , and I shouldn’t hold on to my old experiencesand opinions. As for investing, seeing the problems is not something extraordinary, and does not have much value. Gloria Ai: Every time you said you decided to become an investor, I couldn’t believe it. You even once made a speech, called “if I found a company again”. Zhou Hang: What I meant was we need to do everything with an entrepreneurial mindset – starting from ground zero and enjoy racing uphill with new departures and races in life. Just as you said about having adventures and slaying dragons, it is important to feel that you are creating something great. If you are a financial investor, you have a mindset of a hunter. But I hope to have a mindset of a creator. I am always thinking about how to make a good investment? How to build a great investment intuition? What kind of investment thesis to take? What kind of investment culture should we have? How could we use the power of investment to improve our society? Sometimes he even thinks, how great it would be if yesterday’s Zhou Hang meets today’s Zhou Hang and discusses with each other. However, it is not valuable to only see the problems. For investments, it is more important to see the opportunities hiding behind the problems. As an entrepreneur-turned-investor, Zhou Hang says “seeingthings through” is harder than “seeing things” , and “thinking and reflecting” is more precious than “chasing the hypes”. How to become a real entrepreneur-turned-investor? Zhou Hang: For an outsider, first, forget about the hypes. Second, it is very important to think independently, slowly, and deeply. This isthe difference between seeing something and seeing something through. What does it mean to see something? Many people nowadays talk about AR and VR. I call this seeing things. However, it has no value, as even the retired grandmas can see that. The key is to see things through, which requires lots of experiences and insights. For instance, this is like you are on the north side of Himalayas. You see shining white snow, steep peaks and slopes, but you cannot see through the mountain. You cannot see that the southside of Himalayas is gentle, warm and moist. You cannot see the greens in Nepal. You would think the Himalayas is just like what you see – white and steep. It requires a different skill set to try to at least think about what it is like on the other side of the mountain. At least you need to think about that, instead of holding a simple mind and believing what you see is all thereis. What difference does it make if what you see is like what other people see? Gloria Ai：We can use a popular term “cognition” to describe your analysis. There are two ways to turn the so-called “deepened cognition” into value, one is through investment, and the other is through entrepreneurship. Which one do you think brings more profit? Zhou Hang: Striving for excellence will bring you the most profit. No matter what youdo, as long as you strive for excellence, you will maximize your benefits. I always want to promote a “potential energy strategy” , which means to leverage all your potential energy and strive for excellence. Not just try todo something well, but far exceeding well. In this business, if you become the most excellent one, then you can gain and leverage a lot of potential energy. The benefit and value you would gain are also far exceeding just doing something well. For instance, the value you create through doing something 100% is not just 10% better than the value created for doing something 90%. However, most people do not dare to strive for excellence, because it is a hard journey. Gloria Ai: What do you want to say to someone who wants to become an entrepreneur-turned-investor? Zhou Hang: Stop the profit-driven mindset and strive for excellence. Then you will become an outstanding and excellent entrepreneur-turned-investor.